Looking for a water tank that you can count on? We have the biggest and best value tank range in Australia"
"We travel to the moon and back each year for our customers..."
"Seriously! Our delivery drivers travel in excess of 820,000 KM each year getting our quality tanks to our valued customers." From 340 to 275,000 litres, The Tank Factory has a huge range of quality tanks, all at factory-direct prices and backed by 35+ years experience. Choose from well over 1,000 tank size, style, and colour combinations. We have the perfect tank for your needs. 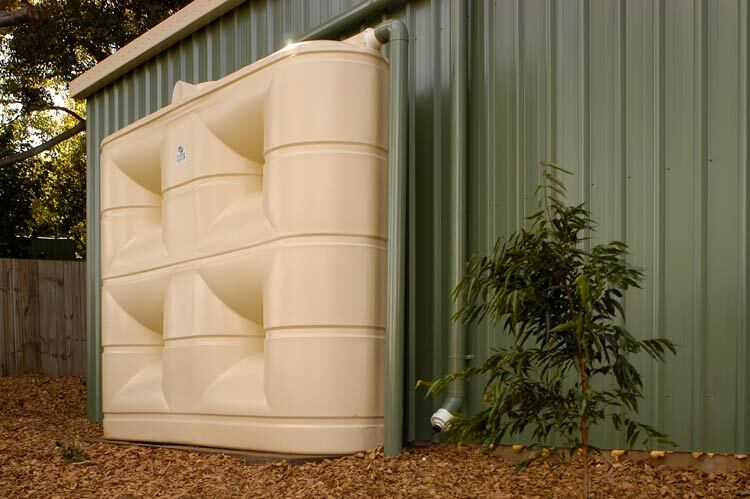 Our tanks are made from the highest quality materials, designed to withstand harsh Australian conditions. Our experienced team look forward to assisting you with the purchase of a quality tank, perfect for your needs. At the time of ordering your tank, our unique systems enable us to provide a committed delivery date. Our tanks include industry-leading guarantees, so you can rest assured your tank will stand the test of time. The Tank Factory has the perfect rain water tank for your home or business. Order factory-direct and save! Browse our comprehensive tank range, with well over 1,000 sizes, styles and colour combinations available. Enjoy the Benefits of New Generation Polytank Technology™, which sets our tanks apart from anything else on the market. 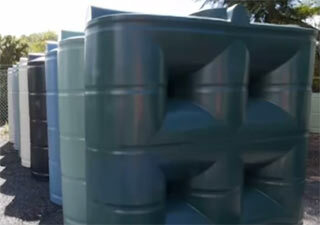 Affordable tank delivery is available throughout many parts of Australia. Read more about the delivery of your poly tank, or steel tank. Our rainwater tanks come with an industry-leading warranty for your peace-of-mind. Read more on our poly tank or steel tank warranty page. Our tanks come in a range of over 20 stylish colours, so you can choose the colour best suited to your property. We found that the friendly driver of the delivery truck was very accommodating, and he went above and beyond just doing a delivery. Hi, we just wanted to advise that we have had our water tank delivered this week and are very happy with the product, delivery and service. We found that the friendly driver of the delivery truck was very accommodating, and he went above and beyond just doing a delivery. His help was very much appreciated. If you could pass this on to all involved. At The Tank Factory, we take pride in offering the highest quality water tanks at a price you can afford. We understand that each customer’s needs are unique & offer a huge selection of tanks to suit every need and every budget. Our website showcases our full range of rain harvesting solutions, and makes it easy to find the perfect tank for your home or business. Answers to all the most common questions we receive are included on our FAQ Page. 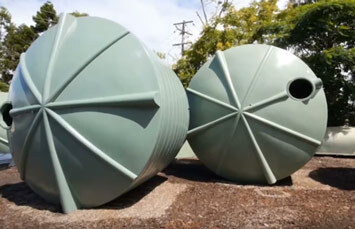 Whether you’re considering installing a rainwater tank on your property to promote water conservation, or to save money on your water bills or both, you’re sure to find what you need at The Tank Factory. We offer an extensive selection of products manufactured to the highest standards. We only carry the top-rated brands in water tank solutions to deliver you nothing but the best. Be it round, slimline, underground, underdeck, large steel panel, aquaculture, aquaponics, poly chemical, industrial, or custom tanks, if you can name it, we have it. Our products are available in a huge variety of sizes and styles to satisfy your unique requirements whether it be for water storage at your home, business or for use in the garden. We offer accessories, pumps and controllers as well to add more functionality and features to our already impressive line of products. You can bank on our long-standing relationships with industry-leading suppliers to ensure you receive the best available rain harvesting solutions at the best prices. All of our products are designed using cutting edge technology and advanced techniques. Handled by experienced and adept specialists, rest assured your water tank is made tough and will stand the test of time with uncompromising quality. The Tank Factory is so certain of the incredible quality and durability of our tanks that we back our products with a warranty. In fact, we offer a 20-year warranty on all models of polyethylene slimline and round rainwater tanks. The purchase and installation of rainwater tanks is an investment, and with our solid warranty backing your purchase, you can rest assured that you will enjoy many years of service. 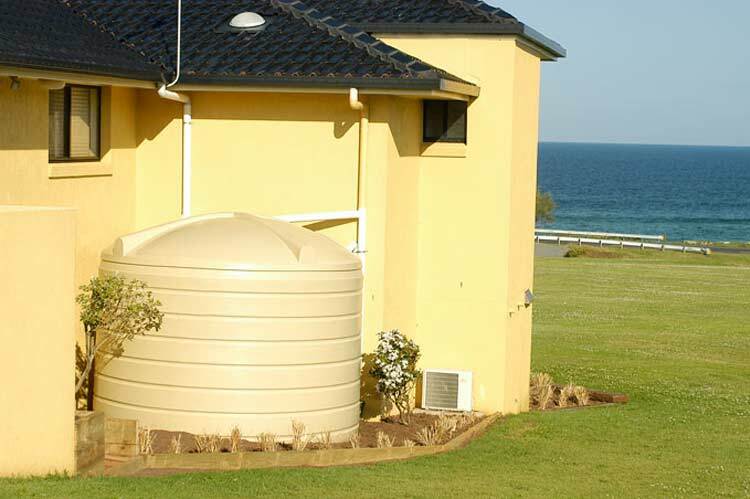 Many Australians have the desire to conserve water by installing water tanks on their property, but they aren’t sure which product is most suited to their needs. Our website showcases our full range of rainwater storage solutions, but should you require special assistance in selecting the right product to suit your needs, please just ask! Our highly-experienced staff will be happy to assist, ensuring you make a great buying decision when you purchase from The Tank Factory. While we strive to provide customers across Australia with the highest quality available, we also offer highly-competitive prices on our full range of products. Our helpful team of experts can help you to determine which product may be best suited for your needs as well as your budget. We will take time to learn more about your needs, and will provide you with a highly competitive price (our pricing is shown beside each model on our website). Purchasing a quality water tank from The Tank Factory is an investment that will help you to save money in reduced water bills for many years to come. In an effort to best serve our customers and to keep the total cost of investment affordable, we offer affordable delivery (please check our delivery page). After you have decided on which product to purchase, and have placed your order using our online order form, we will arrange delivery so that you can begin enjoying the cost-saving benefits that a rainwater tank provides. 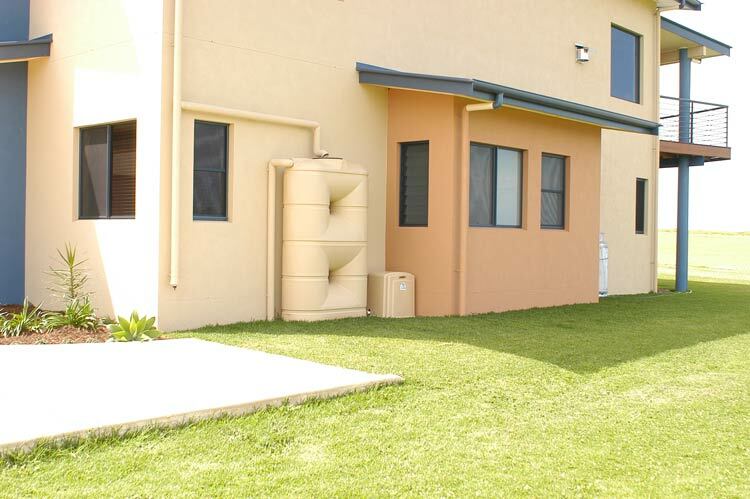 At The Tank Factory, we believe that water conservation should not be stressful or expensive, and our goal is to help Australians purchase rainwater tanks that are best suited to their budget and water usage requirements. Once your tank is installed, you can immediately begin enjoying the benefits that come with capturing and storing rain water in one of our quality rain water storage tanks. We invite you to browse our website and discover our quality range and see just how affordable investing in a tank can be. How many water tanks does your company manufacture each year? We’ve manufactured over 250,000 water tanks since 1984 and manufacture 7,500 tanks in an average year, so it’s safe to say we know a thing or two about water tanks! With an average tank height of 2 metres, that’s enough tanks to build a tower 500km high. Does it take a lot of raw materials to manufacture a tank? Absolutely. Particularly considering the heavy-duty ‘shot weights’ we use to make our tanks super-strong. Last year we used 1.5 million kilograms of quality virgin-grade polyethylene to manufacture tanks for our valued customers. While it costs us considerably more to use heavier ‘shot-weights’ than our competitors, we think it’s 100% worth it. This means our tanks are like nothing else on the market. They’re stronger, have thicker walls, more rigidity and can be counted on year upon year, to withstand harsh Australian conditions. When it comes to your water supply, we don’t cut corners. Can I really count on your company? What experience do you have? Our valued customers need to be able to rely upon their rainwater tank year upon year. We’ve been manufacturing quality tanks since 1984 and our company is still owned and managed by the original founder. This is unique in the tank industry. The stability of our company and our commitment to delivering excellent service year after year means you can count on us to deliver quality each and every time, and assures you a warranty which you can depend on. 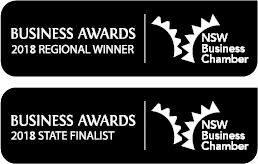 Delivering excellent service doesn’t just involve having an experienced management team. Experience is vital when it comes to every aspect of our business, and our staff have a combined 345.5 years of experience! Rest assured our friendly and experienced team are ready to assist with the purchase of your new tank and any queries you might have. You have quite a large delivery area, you must cover some ground? You better believe it! Getting your new quality tank to your property is no small task. Each year, our water tank delivery trucks travel in excess of 820,000 kilometres. To put that into perspective, this equates to approximately: 820 Bathurst 1000 races. Or 713,664 lengths of the Sydney Harbour Bridge. Or, 20.4 times around the circumference of Planet Earth. Or finally, 1.1072 return trips to the moon. Needless to say, your tank is worth all this travel and planning. 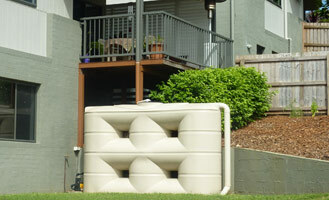 We know it will serve you year after year, offering reliable water storage on you property. What is your most popular tank size? We have a seriously big tank range, with over 1,745 different tank size, style, style and colour combinations, so it’s a good question! Our most popular tank size is our R22700UR – 22,700 litre (5,000 gallon) model tank. 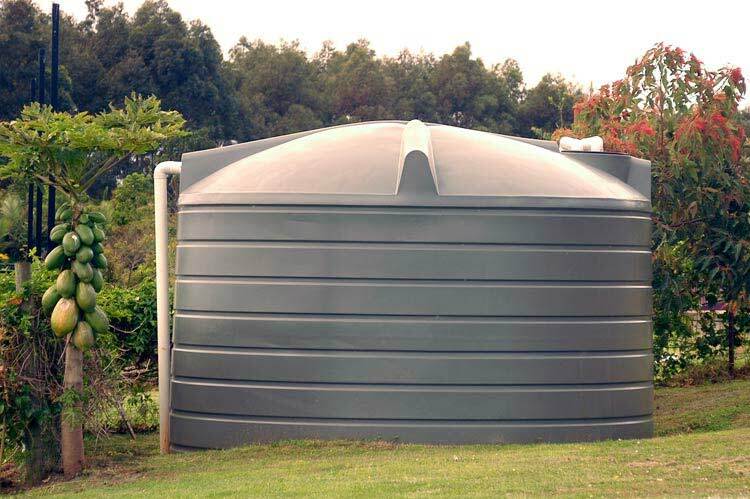 This rain water tank offers a large storage capacity, and exceptional value for money, so it’s easy to understand why this tank is so popular with customers. In fact, we manufacture on average 45 of this model of tank each and every week! It suits many household or rural water supply applications, and like all our other round and slimline poly tanks, it’s available in over 20 stylish colour choices, so you’re sure to find an attractive colour that suits your property. What is the most popular tank colour? Remember back when tanks came only in one colour? Our full range of Duraplas round and slimline water tanks are available in over 20 stylish colour choices, so it will be easy to find a colour that’s just right for your property. Mist Green is the tank colour you select more often than anything else. It’s neutral unobtrusive, and goes with almost anything. Wilderness Green closely follows, and then Smooth Cream, Heritage Green, Merino and Slate Grey respectively. Ultimately there’s no one ‘right’ colour choice when ordering your water tank, and the best choice is the colour that you think suits your property best. That’s why we offer so many choices when ordering your new water tank, so it can be perfect for your place. A water tank should serve you for many, many years. When it comes to ordering your new tank, you need to deal with a company you can trust. We’ve been manufacturing quality rainwater tanks since 1984, and we’re still owned and managed by the founding family, which is unique in our industry. Rest assured you can count on us, and the 20 year warranty included with the full range of Duraplas round and slimline tanks we offer. The reason we can offer such an impressive warranty, is because our tanks are built tough, from premium quality materials to withstand harsh Australian conditions year upon year. Also, don’t forget the New Generation™ Poly Tank Technology included across our poly tank range, the excellent service offered from our friendly staff, or the discount pricing we offer on all models. Choosing to invest in a quality tank from The Tank Factory may just be the easiest decision you make all day. Contact us today. Our experience team look forward to assisting with your tank purchase.